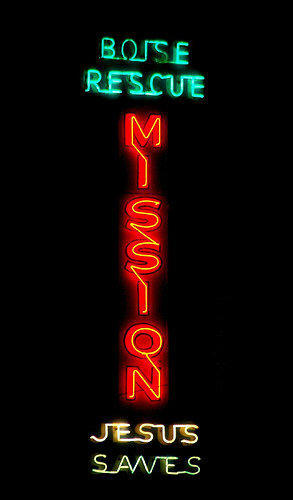 The Boise Rescue Mission is experiencing a financial crisis. The Christian organization’s leaders say it’s not because of lack of generosity from the community. The Rescue Mission has two homeless shelters in Boise and two in Nampa. Holiday contributions are important for keeping those shelters open. And direct mailing is the key to bringing that money in. So when a piece of holiday mail just didn’t get sent last year, CEO Bill Roscoe says the mission was hit hard. Roscoe says a mailing contractor in another state went bankrupt and closed without telling its clients. Roscoe says that deficit has dogged the mission all year and amounts to a $350,000 shortfall. He says if the mission can’t close its budget gap soon, it will have to go into debt to continue to provide services for homeless men, women and children. Roscoe calls the Treasure Valley the most generous place in the world. He says he has faith the community will help now just as they would have last year if the mailer had gone out. The Boise Rescue Mission has sometimes drawn criticism from homeless people and homeless advocates for its strict rules for guests and its emphasis on religious proselytizing. But it’s the largest provider of emergency shelter in the Treasure Valley. Its other areas of emphasis include transitioning homeless veterans into full-time housing and employment, helping women and children get out of violent home lives as well as faith-based addiction recovery. 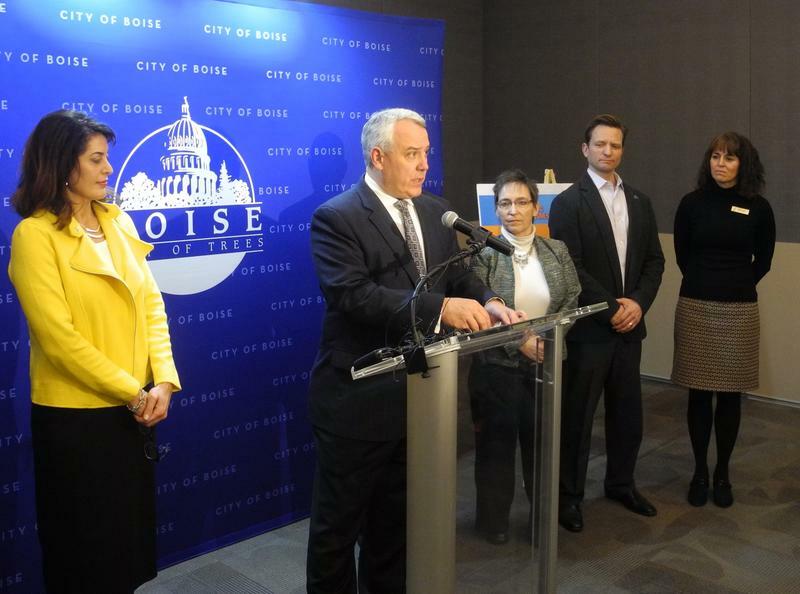 The City of Boise and a handful of nonprofit and public sector partners Tuesday announced a new program to house the area’s chronically homeless population. The plan would first put 15 homeless people in existing apartments for a cost of about $300,000 a year. Those would be owned by the city, the county housing authority and private landlords. KBSX previewed this plan in October. It’s a rags to riches story, starring a Boise man who lost it all, then found his way back through video games. Now Ryan Zehm owns and operates a thriving gaming company called NurFace Games. A few years ago, Zehm went from working at a top tech company to living at a Boise homeless shelter. Now, he’s telling his story of how his perseverance and a little help from the Boise Public Library brought him back from the brink. 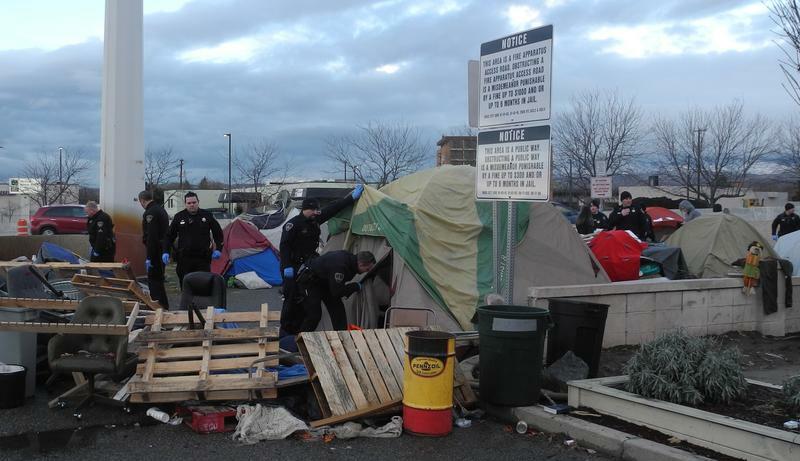 In the months leading up to the eviction of more than 100 people from a tent city near downtown, Boise city leaders frequently cited crime as one of the main reasons the camp needed to be cleared.